is broadening used technology, in nowadays, to connect with the internet and transmission of information. Symphony has applied wifi technology and also created value added into the existing fiber optic network by installing wifi device or access point into main areas, where the company’ s fiber optic network is exist, for providing wifi network service. This service will be usefulness to internet users, mobile phone service providers, and information service providers are able to offer a specialty services to their clients via Symphony’ s wifi network service, likewise their own network. 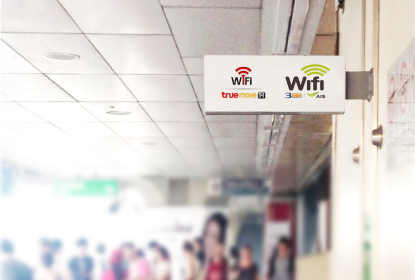 But they do not need to invest in wifi device installation and lease circuit network, whereas Symphony will be administrator and provider of all wifi network service with the standardize same as high speed transmission circuit service in order to help reduce burden for clients. 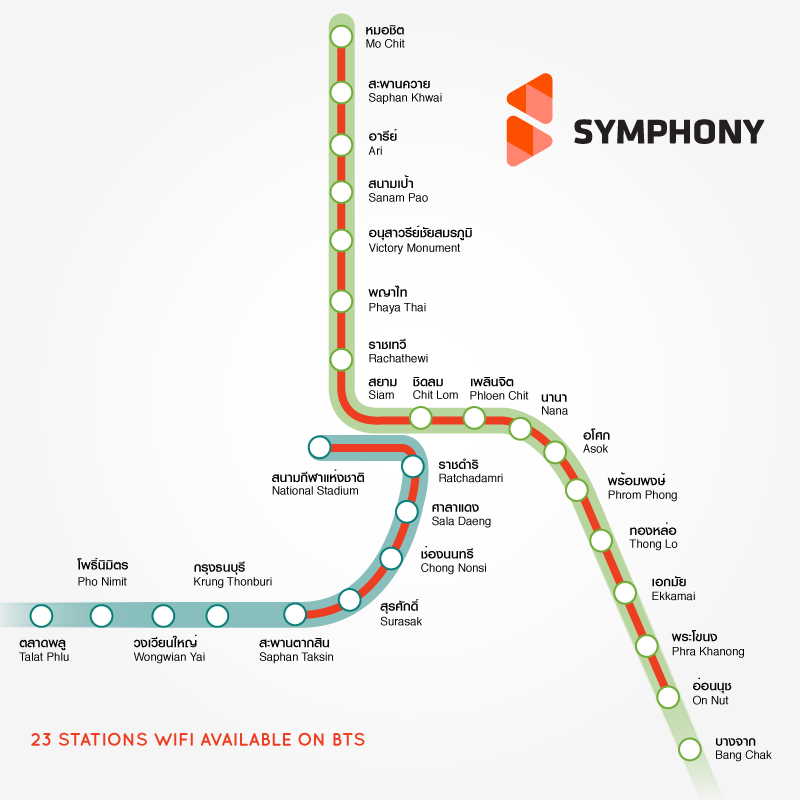 At the beginning stage, Symphony installed devices and wifi network in order to offer services on BTS (sky train) at 23 stations, wifi service available on BTS and having the project to install more into main office building and other areas in line with client’s demand in the futures.